Summary: A look at the life, work, activism and controversies of actress and fitness tycoon, Jane Fonda. 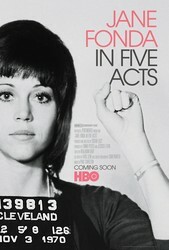 An exhaustive and insightful look into Fonda's life with impressive access. Paints a picture, good and bad, of one of the most important and interesting personalities of the last 50 years.